Colorado Juvenile Criminal Trials – A Look At How They Work – This article views the Colorado Juvenile Case as it proceeds to trial after all plea bargains have been rejected and any possibility of a disposition has proven impossible. When Nothing Is Left But A Trial – What Are My Rights? – How Are Juvenile Trials Different? If a Colorado juvenile case does not result in a disposition – when there is no offer of informal adjustment, diversion or a deferred adjudication, when the parties to a case cannot agree to a plea agreement, an “adjudicatory trial” results. A preliminary hearing follows quickly on the heels of the detention hearing. It is held to determine whether probable cause exists to believe that the delinquent act declared in the petition was committed. Either the district attorney or the accused has the lawful authority to demand – (and they will be granted) a preliminary hearing if the act is a felony or a class 1 misdemeanor. Notice – in writing in most courts – must be filed not later than ten days after the advisement hearing and then scheduled within 30 days of the demand filing. If the child is being held in detention – the “prelim” must be scheduled within the 30 days but as quickly withing that period as possible. 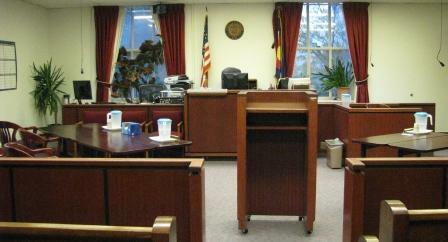 Probable Cause – If the judge finds probable cause an ” ad judicatory trial” is immediately scheduled. If no “PC” is found to support the charges – the delinquency petition is dismissed and the juvenile is released. BUT – the judge’s findings can be appealed and possibly reversed on appeal. 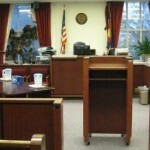 In Colorado, Juvenile trials are usually presided over by a magistrate, but there is a statutory right to try a case to a Colorado District Court Judge. The right to a jury trial in the juvenile justice system is greatly curtailed. While there is a statutory right to a jury trial- that right only applies in the most serious juvenile criminal cases. Thus when the juvenile is alleged to be “an aggravated juvenile offender,” or to have committed an crime that would be “a crime of violence,” of committed by an adult as defined by statute, the right to a jury trial attaches. A juvenile charged as an aggravated offender has a right to file a written request that the adjudication of the act be by a jury of twelve persons. If a juveniles is accused of other felonies, he or she may request a jury trial, – which may or may not be granted by the trial judge. In such cases, the juvenile or the district attorney may request a jury trial of no more than six members and it is up to the judge to decide whether – in the judge’s discretion – one will be granted. The jury must be requested – otherwise – if neither party requests a juvenile jury trial, the court may deem the right to a jury waived. On the other hand – juveniles accused of misdemeanors, petty offenses, or violations of court orders do NOT have a right to a jury trial. An “adjudicatory trial” must be held within 60 days following the entry of the plea of not guilty. However, if the juvenile requests and is granted a jury trial that request extends the timing of the jury trial by waiving the 60-day requirement. A juveniles speedy trial right is then controlled by the adult criminal code and rules of criminal procedure – extending out the speedy trial right to 6 months. If a juvenile is held in juvenile custody without bail, (unless the juvenile requests a jury trial) see below, the adjudicatory trial must be held within 60 days of the entry of the order holding the youth without bond or the entry of a plea, whichever date is earlier in time. While juvenile trials and hearings are typically open to the public, in all juvenile proceedings, the juvenile court judge or magistrate may clear the courtroom if the judge or magistrate believes it would be in the best interests of the child. While ordinary daily hearings may be conducted in more or less an informal manner trials, in delinquency trials, the rules governing evidentiary considerations are the same as in adult criminal proceedings. The burden of proof is also the same as in adult criminal trials. The juvenile’s guilt must be proven by the beyond a reasonable doubt standard at the adjudicatory trial. At this juvenile criminal trial, the District Attorney presents a case to prove – as noted – that the child committed the alleged criminal “delinquent act”. The District Attorney has the right to do this by presenting evidence through witnesses and the admission of physical evidence. The lawyers typically conduct both direct and cross examination of those witnesses. After each side has presented what is typically called their “case in chief” the Judge or Magistrate (or the jury) determines whether your child has committed a “delinquent act”. If the judge or jury ends in a not-guilty verdict, the petition in delinquency must be dismissed and the juvenile must be immediately released from any custody or other restrictions such as bail bond conditions. If the juvenile is found guilty, the next stage is the sentencing hearing. The hearing can be that same day or the parties may agree to continue the sentencing hearing to a later date in order to conduct a proper pre-sentence investigation. ABOUT THE AUTHOR: H. Michael Steinberg – Email The Author at: hmichaelsteinberg@colorado-juvenile-crimes-lawyer or call his office at 303-627-7777 during business hours – or call his cell if you cannot wait and need his immediate assistance – 720-227-7777. If you are charged with A Colorado crime or you have questions about Colorado Juvenile Criminal Trials – A Look At How They Work, please call our office. The Law Offices of H. Michael Steinberg, in Denver, Colorado, provide criminal defense clients with effective, efficient, intelligent and strong legal advocacy. We can educate you and help you navigate the stressful and complex legal process related to your criminal defense issue. Colorado Defense Lawyer H. Michael Steinberg provides solid criminal defense for clients throughout the Front Range of Colorado – including the City and County courts of Adams County, Arapahoe County, City and County of Boulder, City and County of Broomfield, City and County of Denver, Douglas County, El Paso County – Colorado Springs, Gilpin County, Jefferson County, Larimer County, and Weld County,…. and all the other cities and counties of Colorado along the I-25 Corridor… on cases involving … Colorado Juvenile Criminal Trials – A Look At How They Work.